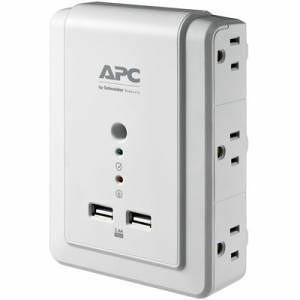 The APC SurgeArrest Essential series represents the minimum level of surge protection that should be present on any of your computers and household electronics, with most models also providing surge protection for your phone lines. Its state of the art circuitry offers protection for sensitive electronic equipment against larger power surges and multiple surge events. Additional features like plentiful outlets, status indicator LEDs and more make this our best value for surge protection - our lifetime Equipment Protection Policy guarantees it.